Excelon LP click carries a ferroelectric RAM module, also known as FRAM. It is a much faster alternative to common serial FLASH and EEPROM modules which use the conventional technologies. 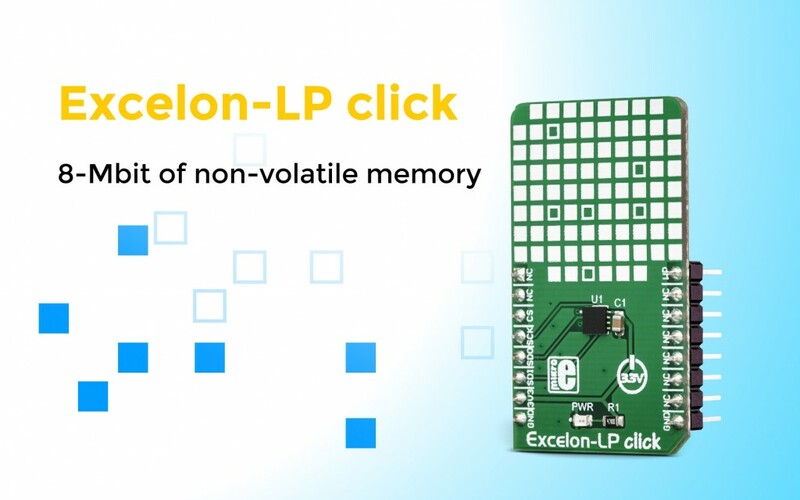 Excelon LP clickis ideal for embedded applications which frequently execute write operations. It can be used for a wide range of applications, from data collection to the demanding industrial controls.